Travel in style with this "Amor" single bar stamped rose gold necklace. It includes a cutout heart shape which gives it an extra feminine touch. An easy to pack fashion statement accessory that is bound to coordinate with any outfit. An easy to pack fashion statement accessory that is bound to coordinate with any outfit. 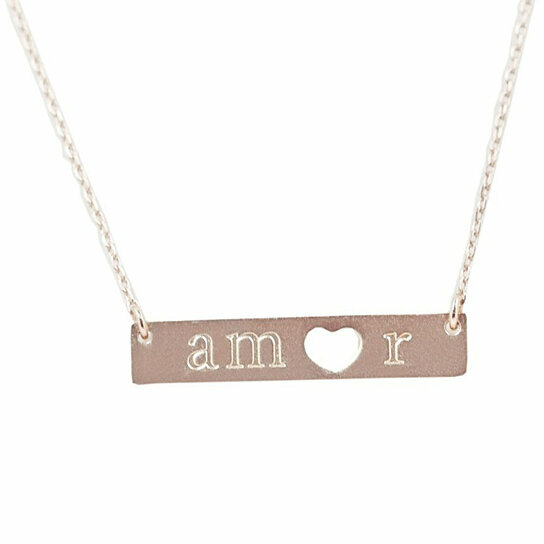 Travel in style with this "Amor" single bar stamped rose gold necklace. It includes a cutout heart shape which gives it an extra feminine touch.